Express Mission: Our goal is to create an environment that fosters the learning and development of young athletes through coaching, motivation and leadership to promote the achievement of athletic and academic goals while allowing players to mature and make a positive impact inside and outside the world of hockey. The Coquitlam Express are a Jr. A hockey club located in the city of Coquitlam, British Columbia. Coquitlam is located 20 kilometres east of downtown Vancouver. 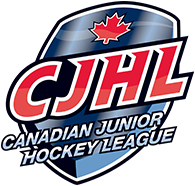 We compete in the BCHL, which has the distinction of being Canada’s top Jr. A league in the Canadian Junior “A” Hockey League. The club entered the BCHL in 2001, and after 4 successful seasons which saw the team begin their climb to the top ranks in the BCHL, the team moved to Burnaby while the City of Coquitlam renovated our home arena, the Poirier Sport & Leisure Complex. Our 1st season in Burnaby was a banner year for the franchise winning the 2006 RBC Cup National Jr. “A” Champions. Assistant Captain, Kyle Turris, was selected 3rd overall in the 2006 NHL Entry Draft, making him the highest Jr. A player ever selected. In 2010, Coquitlam’s team returned home to a beautifully renovated Poirier Sport & Leisure Complex and in 2014 we captured the BCHL Championship. We are looking forward to continued success and plan to add another banner to the rafters. Coquitlam Express Hockey – All Aboard! We run a full time hockey program similar to that of an NCAA or CHL program. Our mission is to provide an opportunity for players to strive towards their goals and gain opportunities to pursue playing hockey at a higher level. We pride ourselves in helping players obtain NCAA scholarships and we have a long track record of success in helping players play hockey while obtaining an education. Our focus is to recruit the right athletes, finding those who will be leaders on and off the ice. Motivated and focused players who will represent our program in a positive way and work to bring a Championship to our great city. We provide our players with all of the necessities to become better players, better people and assistance in chasing their dreams. Our track record for promoting and graduating players to Colleges is a priority. We strive to prepare our players for success moving forward in life and athletics. Our list of alumni is extensive and is in the hundreds.